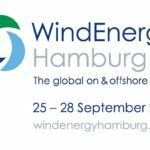 Land and sea transport of wind turbine components such as tower, nacelle or wings is challenging and requires extensive experience and knowledge. The components are large, heavy and demanding to move, particularly at sea, and often it may be necessary to design ad-hoc solutions to allow such components to travel safely and arrive intact and ready for immediate installations. At AHI Site Solutions, this is one of our main areas of expertise.